Here Is A Break Down of Apple’s new iPhone XS, XS Max, and XR. Let Me Know What You Think! The iPhone Xs is indistinguishable from last year’s iPhone X. As the “S” moniker suggests, it brings modest upgrades, but from what we’ve seen so far, you likely won’t want to upgrade to it over the iPhone X. That doesn’t mean it’s bad — it’s just the least interesting iPhone announced today because it’s so similar to last year’s model. It’s a compelling product for Android owners looking to switch, or for people looking to upgrade anything older than an iPhone 8. Let’s take a closer look. 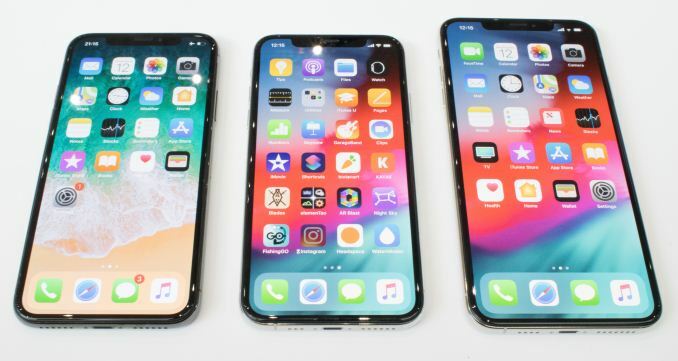 The iPhone Xs has the same exact 5.8-inch screen as last year’s iPhone X, which for reference puts it in between the iPhone 8 and the iPhone 8 Plus. 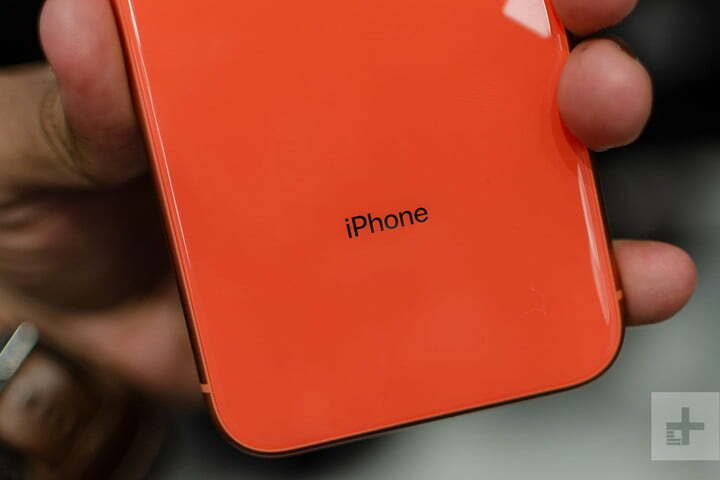 It’s currently the smallest of the new iPhone devices announced today — the iPhone XR has a larger 6.1-inch screen. It looks exactly like last year’s iPhone X, which isn’t a bad thing at all. The back is minimal, with an elegantly-placed vertical dual camera. We do wish the camera was flush on the back, but we’ve been wishing for this for quite some time. The glass — which Apple said is its “most durable” — feels nice to the touch, and the metal frame feels high-end. It now comes in gold, but silver and space grey options are still available. We love the look of the gold, and we think it’s the one to buy this year. 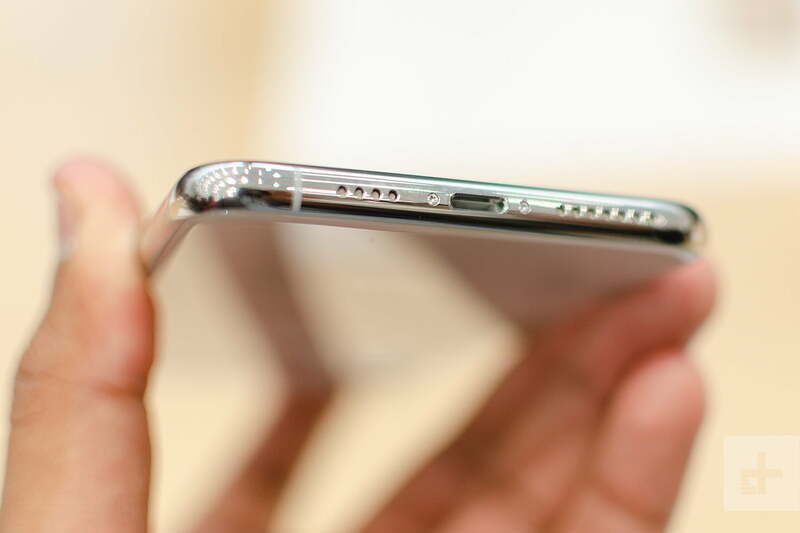 The buttons and Lightning charger remain where they were, there’s still no headphone jack, and the notch on the front carries the TrueDepth camera for Face ID. Apple claims this unlocking method is faster and more secure than ever before thanks to the new processor inside the Xs, but we were unable to test it. 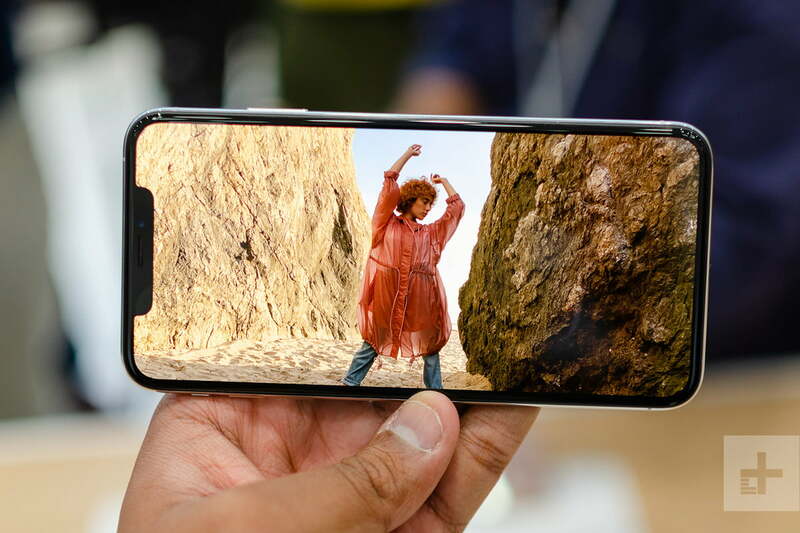 The Super Retina HD OLED screen on the front supports Dolby Vision and HDR10, and it has the same exact 2,436 x 1,125 resolution as last year’s iPhone X (458 pixels per inch). The colors on the screen are realistic and well saturated, but it’s still the black levels that impress. We watched a few scenes from Ready Player One, and it looks realistic, as though we were very much a part of the virtual world. There’s also support for True Tone again, which adjusts the screen colors to match the temperature of the light in your surroundings. The Xs Max is your best bet for a bigger screen, but we’re more than satisfied with this size. It’s easy to use one handed, which wins it points in our book. Apple also improved the water resistance on the device, bumping it up to IP68, which means you can leave it submerged up to two meters for 30 minutes. Apple’s latest processor is the A12 Bionic, and it’s powering all the new iPhones. It includes a “next-generation Neural Engine,” which now has eight cores, and overall the chip can process 5 trillion operations per second. That essentially means the iPhone Xs Max can handle seriously intense computing tasks, and complete them faster than ever before. It may well be the most powerful smartphone available to date. With the removal of the home button, you now need to use gestures first introduced with the iPhone X to navigate the operating system. It’s one of the best gesture systems we’ve used on a smartphone, and we didn’t run into any performance problems moving around the OS, or with opening and switching between apps. The iPhone XS Max runs iOS 12, which drops September 17, and you can read our guide on everything that’s new with the latest version. Battery-wise, Apple claims the iPhone Xs can last up to 30 minutes longer than the iPhone X, which means you can expect about a day of use. That’s a little disappointing, as we’d have like to see a more substantial improvement here, but we’ll need to use the phone for a few days to see more precise measurements, and to see if Apple’s claims ring true. Wireless charging is available again, but we’re still bummed to see no fast-charging cable included in the box — you need to buy it separately. 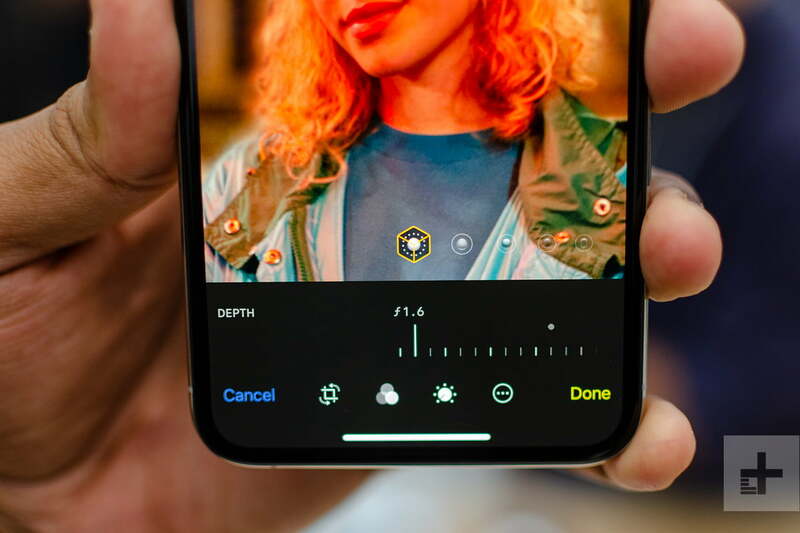 The iPhone Xs has two 12-megapixel cameras on the back, a standard f/1.8 lens and a telephoto lens with a f/2.4 aperture. The second lens is capable of up to 2x optical zoom, and it’s used for Portrait Mode photos. 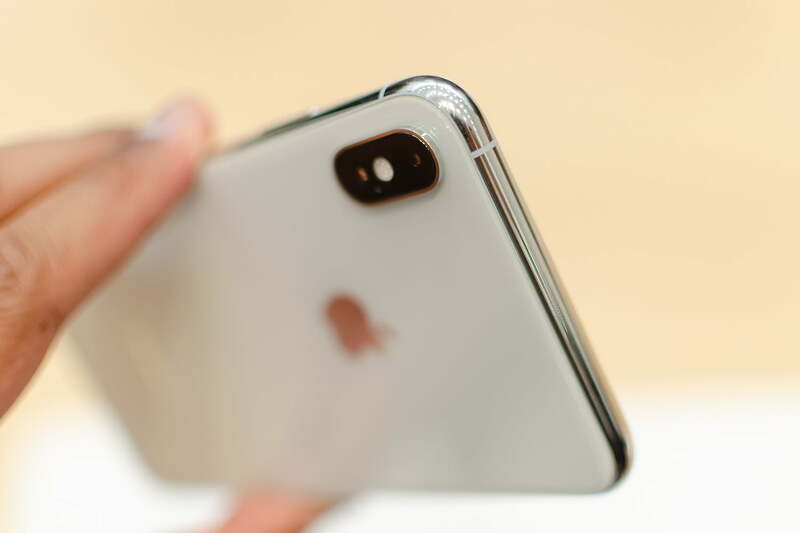 The camera sensor is said to be bigger than last year’s iPhone X, so you should see slight improvements overall. 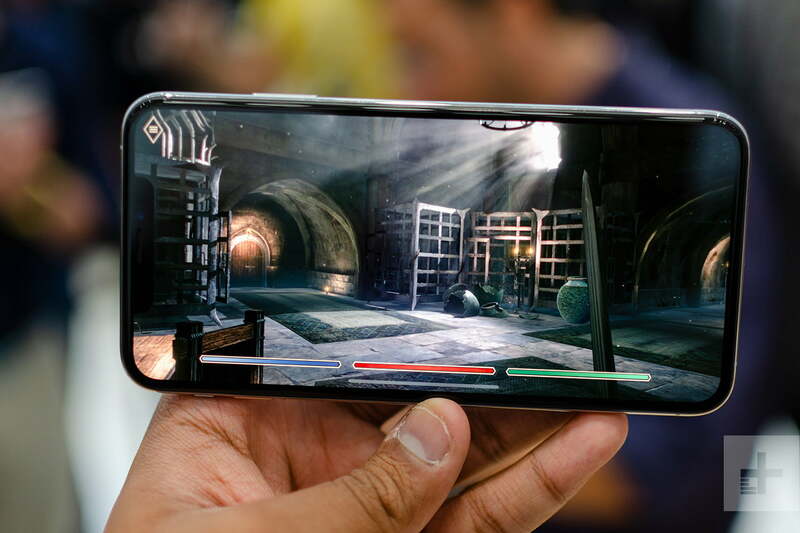 Two key improvements enhance the camera experience over the iPhone X: Depth Control and Smart HDR. The former allows you to adjust the level of bokeh — or background blur — in Portrait Mode photos. It works really well, and it’s a great option if you want to tweak the photo exactly to your liking. It’s a feature we’ve seen on other Android phones before. You also still get the same Portrait Lighting features from last year, but they should work better than ever thanks to the A12 Bionic. In the few tests we did, the camera was capable of identifying the edges around a subject accurately. We’ll need to do more testing to see how it fares. Apple also said you can record stereo sound with the camera, and there’s extended dynamic range, but we haven’t had a chance to see this in action. The front-facing, 7-megapixel camera (with f/2.2 aperture) snapped a few nice selfies in our testing — including Portrait Mode selfies, thanks to the TrueDepth camera on the front. Expect to be able to create Animojis and Memojis with iOS 12 on this device as well. The camera didn’t have any shutter lag, and the photos we took in the event space looked good, but we’ll need more time to fully test the iPhone Xs and see its full capabilities. The iPhone Xs starts at $1,000, which is the same price as last year’s iPhone X. It comes with three storage options: 64GB, 256GB, or 512GB. One of the most frequent criticisms we’ve heard about the iPhone X is that its 5.8-inch screen simply isn’t big enough. Last year, big-screen lovers had to opt for the less fully featured iPhone 8 Plus to get the most real estate. Not anymore. Apple’s new iPhone Xs Max has a much bigger screen than the iPhone X, and all the same top-shelf features. It’s the perfect option for people who want to upgrade from older Plus models. The iPhone Xs Max is big, beautiful, and bold — especially with the new gold color option (silver and space grey are also available if you want something less flashy). It has a massive 6.5-inch screen, but the body is about the same size as the iPhone 8 Plus. If you’re coming from a Plus device, you should feel right at home. If you’re not, this phone will feel cumbersome. It requires two hands to operate, as we struggled to quickly reach parts of the screen with one. It looks exactly like last year’s iPhone X, which isn’t a bad thing at all. 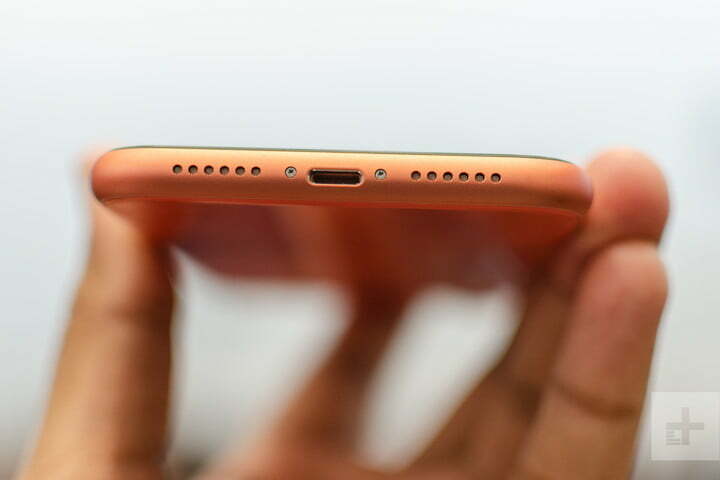 The back is minimal, with the elegantly placed vertical dual camera. We do wish the camera was flush on the back, but we’ve been wishing for this for quite some time. 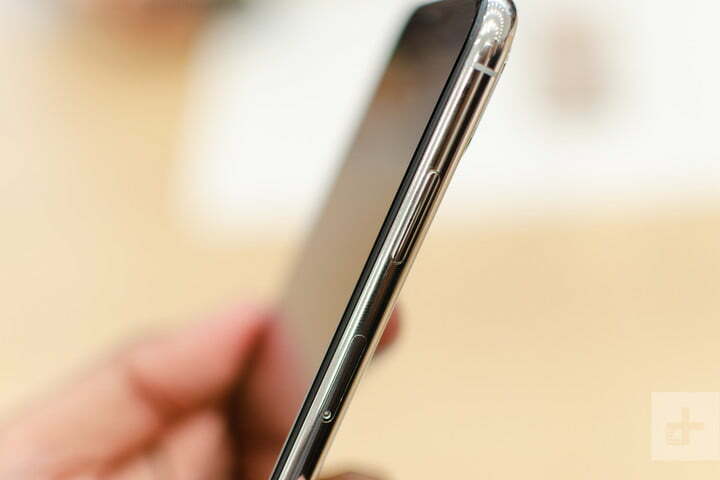 The glass — which Apple said is its “most durable” — feels nice to the touch, and the metal frame feels high-end. The Xs Max is heavy at 208 grams, but it certainly helps make it feel worth the price tag. The Xs Max’s screen is the star of the show here. It’s a beautiful 6.5-inch Super Retina HD OLED screen, with colors that pop and mesmerizingly deep levels of black. It supports HDR10 and Dolby Vision, so you’re getting accurate color representation, that makes supported content look absolutely stunning. The 2,688 x 1,242 resolution means you’re getting the highest resolution iPhone available (458 pixels per inch), and everything on the screen looks incredibly sharp and crisp. There’s also support for True Tone again, which adjusts the screen colors to match the temperature of the light in your surroundings. It’s a fantastic screen, and the Xs Max’s size makes it the perfect option for consuming media. Apple also improved the water resistance on the device, bumping it up to IP68, which means you can leave it submerged up to two meters for 30 minutes. With the removal of the home button, you now need to use gestures first introduced with the iPhone X to navigate the operating system. Battery-wise, Apple claims the iPhone Xs Max can last up to 1.5 hours longer than the iPhone X, which means you can expect about a full day of use. We’ll need to use the phone for a few days to see more precise measurements, and whether Apple’s claims ring true. Wireless charging is available again, but we’re still bummed to see no fast-charging cable included in the box. 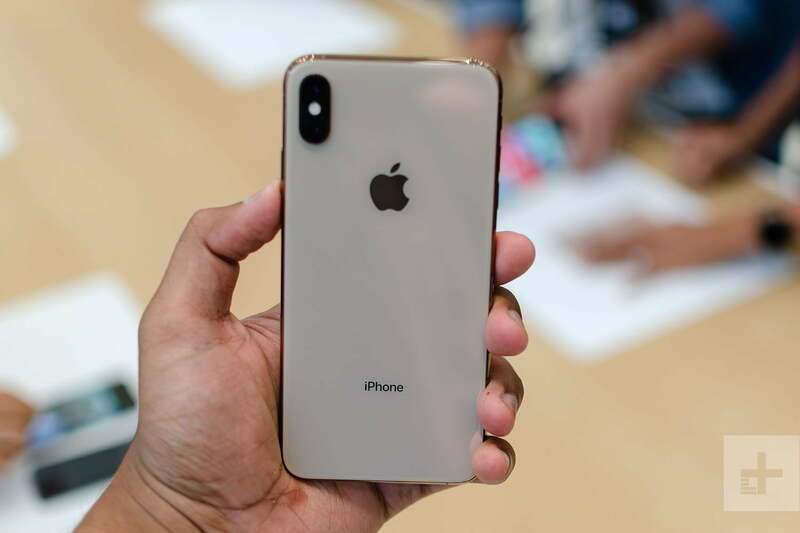 The iPhone Xs Max has two 12-megapixel cameras on the back: a standard f/1.8 lens and a telephoto lens with a f/2.4 aperture. The second lens is capable of up to 2x optical zoom, and it’s used for Portrait Mode photos. The camera sensor is said to be bigger than last year’s iPhone X, so you should see slight improvements overall. We’re more excited to test Smart HDR. Essentially, it captures a lot of photos at the same time, and then with the help of the A12 Bionic processor, the camera chooses the best of each to create one photo with excellent dynamic range. That means you won’t need to worry about photos being overexposed or underexposed in dynamic lighting conditions – it will look just right. The camera didn’t have any shutter lag, and the photos we took in the event space looked good, but we’ll need more time to fully test the iPhone Xs Max and see its full capabilities. The iPhone Xs Max starts at $1,100, which is a lot of money. 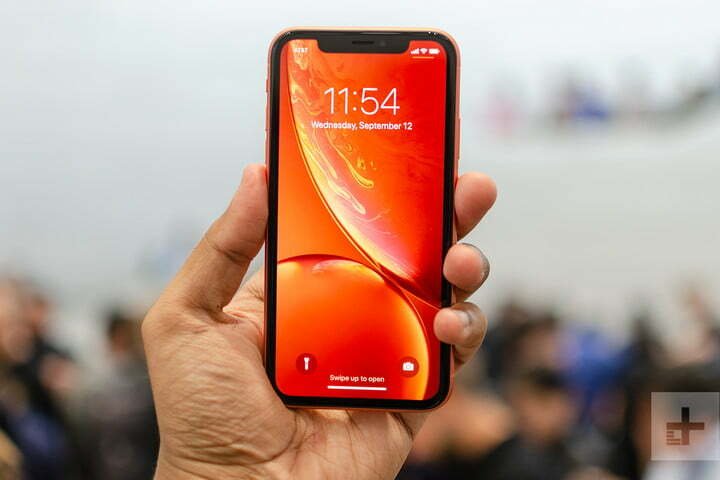 Most people will likely be satisfied with the iPhone XR, the third iPhone announced today that has similar features, except for the OLED screen and second camera on the rear. You should only consider the Max if you want the extra screen real estate. Apple tends to offer more color options for its cheaper devices, and that hasn’t changed with the iPhone XR. It’s one of the most noticeable traits of the phone, as it comes in Product (Red), white, coral, black, blue, and a mesmerizing yellow (our favorite of the lot). In comparison, the Xs and Xs Max only come in three colors that are more elegant than flashy. 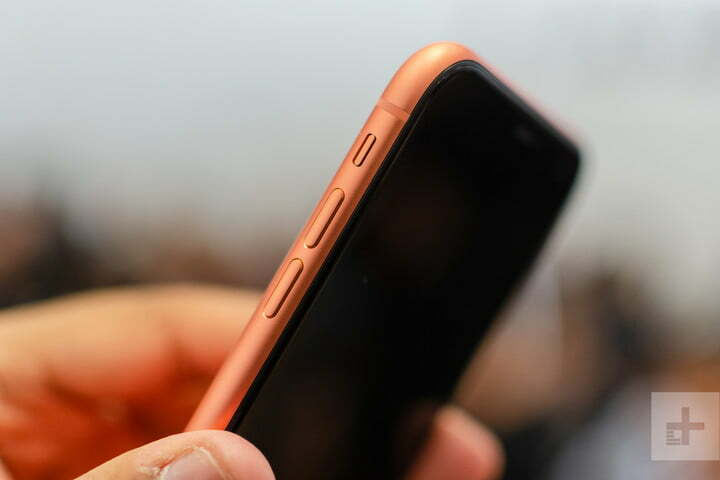 From the back, the iPhone XR looks like an iPhone 8. That’s because of its next distinguishing characteristic, a single-lens camera that’s slightly raised. We’ll get to the camera later, but don’t underestimate it just because it has one lens. 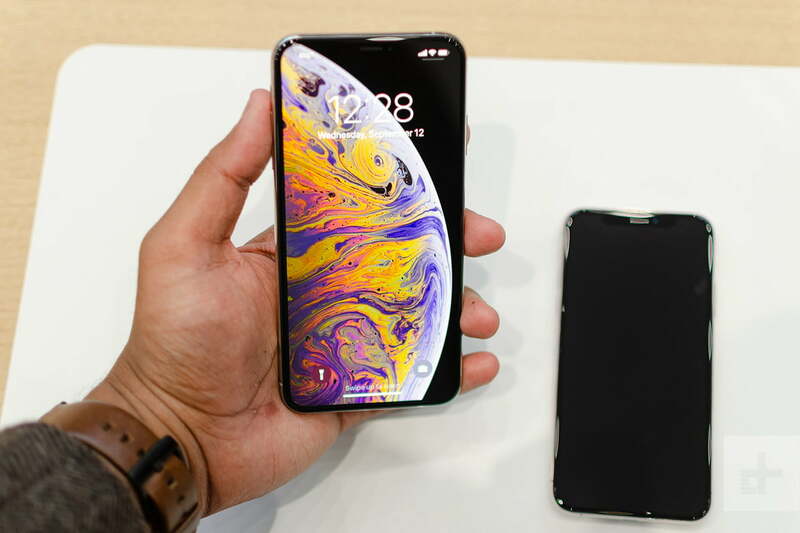 It shares many of the same features as the Xs and Xs Max. 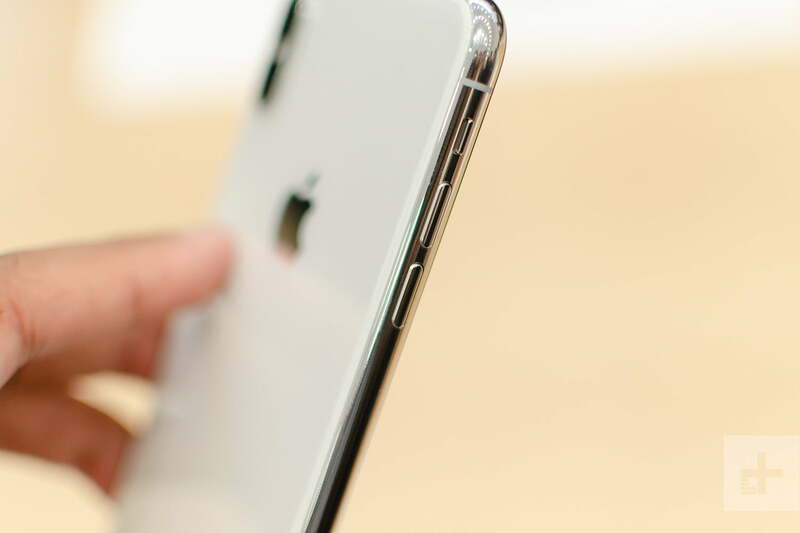 The aluminum frame around the edges feels high-end, and the glass — which is Apple’s “most durable” — is capable of wireless charging. The screen technology quite impressive, and perhaps the biggest internal difference between the XR and other iPhones. This is an LCD screen, which Apple has named Liquid Retina HD display. That’s a 1,792 x 828 resolution (326 pixels per inch), which doesn’t sound high, but content on the screen managed to look quite sharp. It’s a wide color display with support for True Tone, which means the screen’s color will adapt to the ambient lighting surrounding you. We watched a few scenes from Ready Player One, and colors in the film were well saturated with surprisingly deep black levels. It’s excellent. 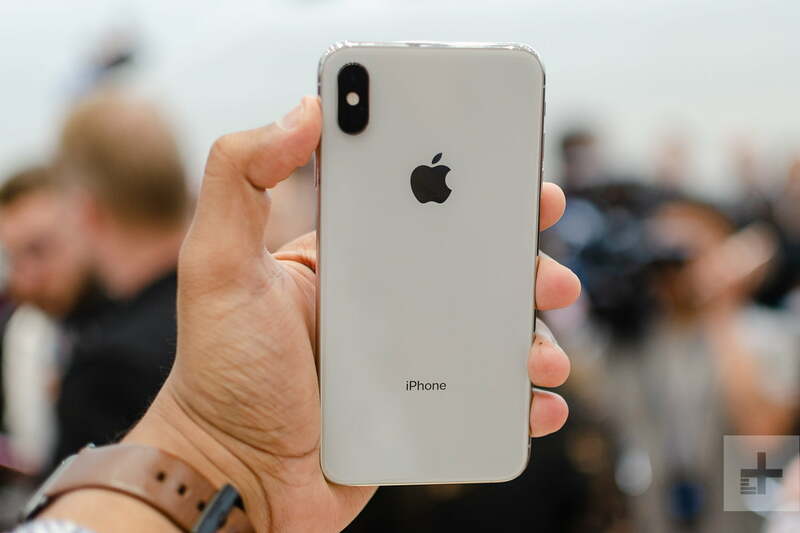 Apple’s new A12 Bionic processor powers all the new iPhones, including the iPhone XR. It boasts a “next-generation Neural Engine,” which now has 8 cores, and overall the chip can process 5 trillion operations per second. It’s impressive, and it means the iPhone XR can handle anything you’d throw at it. Battery-wise, Apple claims the iPhone XR can last up to 1.5 hours longer than the iPhone 8 Plus, which means you can expect about a full day of use. We’ll need to use the phone for a few days to see more precise measurements, and to see if Apple’s claims ring true. 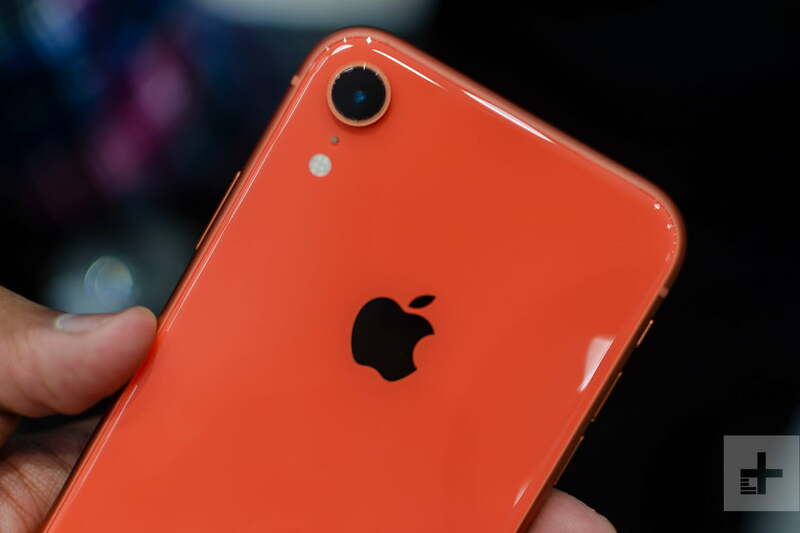 The iPhone XR has the same 12-megapixel camera as the Xs, with a f/1.8 aperture and optical image stabilization. The camera includes an all new sensor over last year’s models, which should deliver stronger photos. But there are two features we’re particularly excited about: Portrait Mode and Smart HDR. 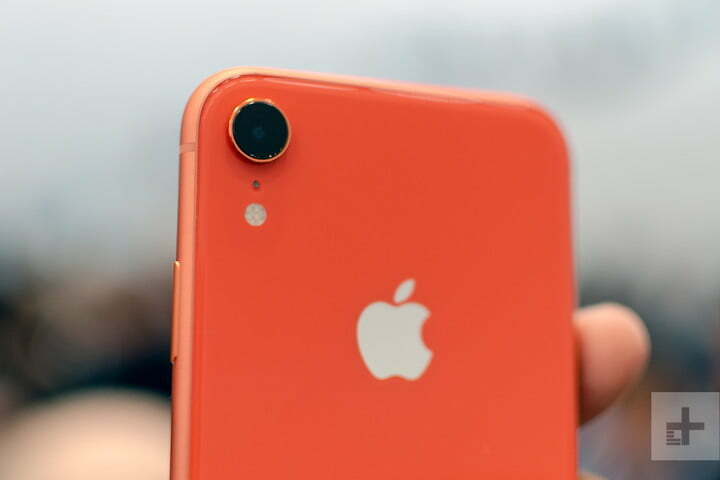 That’s right — despite only having one lens, Apple has introduced Portrait Mode into the iPhone XR, just like Google managed with the Pixel 2. Portrait Mode also has a new feature: You can now change the depth of field after you snap a photo. It’s a feature we’ve seen on some Android phones for quite some time, but it’s good to see it included even on Apple’s more reasonably priced phone. Smart HDR is a completely new feature that captures a lot of photos at the same time. With the help of the A12 Bionic processor, the camera chooses the best of each to create one photo with excellent dynamic range. That means you won’t need to worry about photos being too overexposed or underexposed in dynamic lighting conditions. However, we haven’t been able to test this yet. Apple also said you can record stereo sound with the camera, and there’s extended dynamic range, but these were also outside what we could test during our hands-on. The iPhone XR starts at $750 and comes with either 64GB, 128GB, or 256GB storage options. It will be available for pre-order starting October 19 and arrives on October 26.